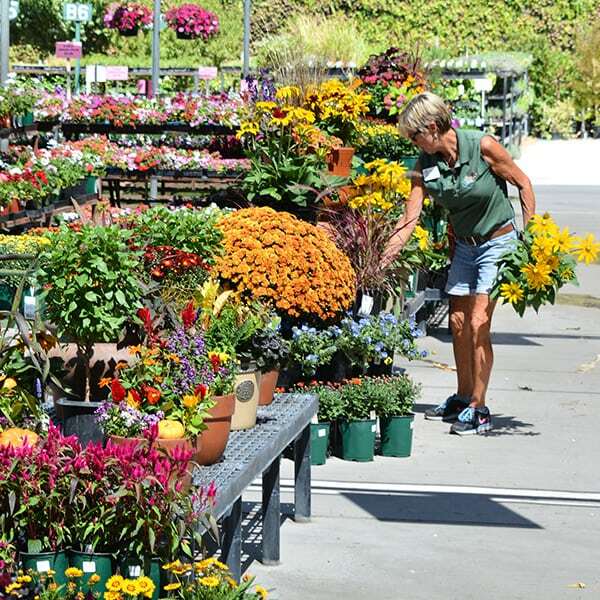 Los Angeles County’s favorite family-owned garden center and plant nursery, Green Thumb Nursery in Santa Clarita has acres of florist quality plants, trees, flowers and more. 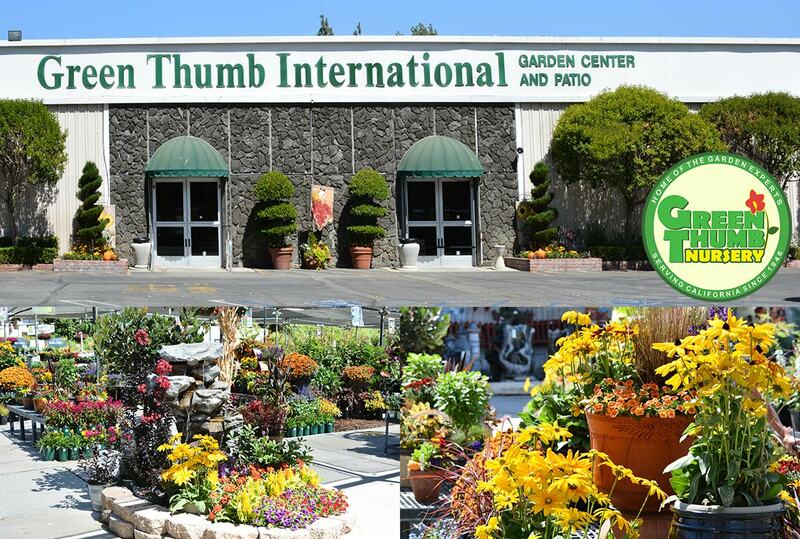 Green Thumb Nursery in Santa Clarita is known for their wide selection of top quality unique and popular plants, friendly garden experts, and beautiful garden decor. 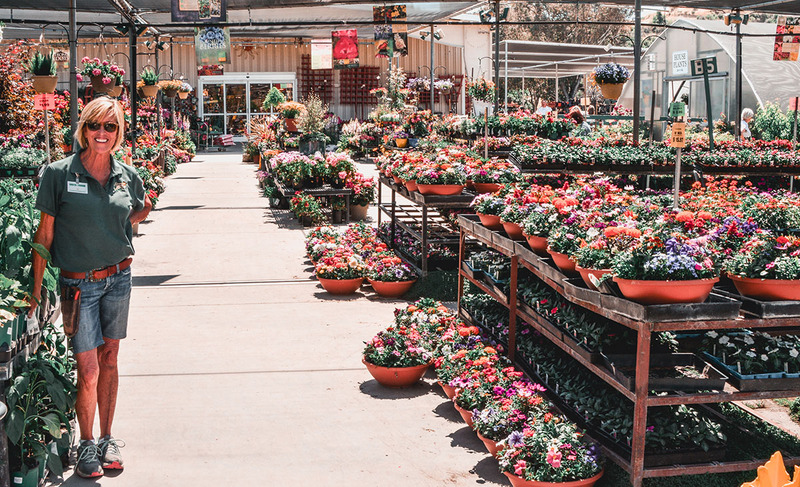 The huge selection of drought-tolerant plants, fruit trees, beautiful vibrant flowers, water plants, perennials, annuals, succulents, and more make Green Thumb Nursery the perfect garden destination in Los Angeles! Flowering plants for the home or gifts include Azaleas, Chrysanthemums, Hydrangeas, Gardenias, Orchids, Cyclamen, Roses and many more. 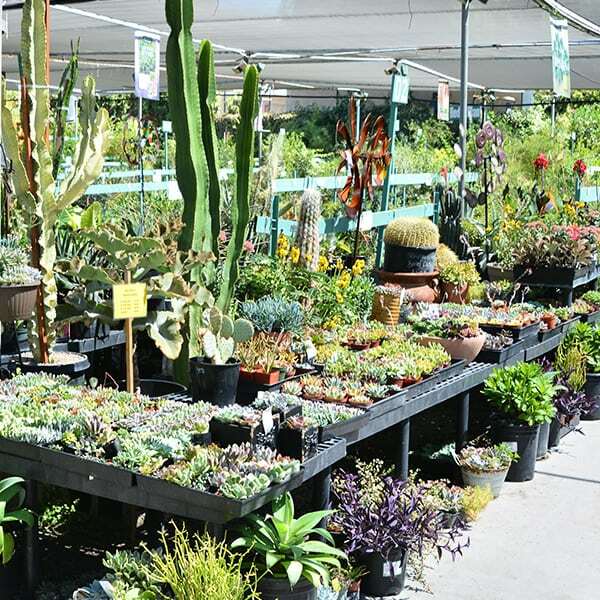 The Santa Clarita location has many xeriscaping solutions with hundreds and hundreds of options for drought-tolerant plants and water-wise plants including succulents and cacti. The Green Thumb Nursery greenhouse regularly hosts some of the most exotic houseplants from all over the world. Our Patio Shop includes casual furniture sets, umbrellas, replacement cushions, benches, Bar-B-Ques (BBQs) and accessories, rain covers, outdoor decorative flags, gift items, Department 56 collectibles and a vast amount of holiday and seasonal decor including Christmas, Halloween, Mother’s Day and more! We have thousands and thousands of beautiful plants all over the nursery. Here’s one of our garden experts, Val, putting away some gorgeous picks! Want to see more of our plants? Click the photo! 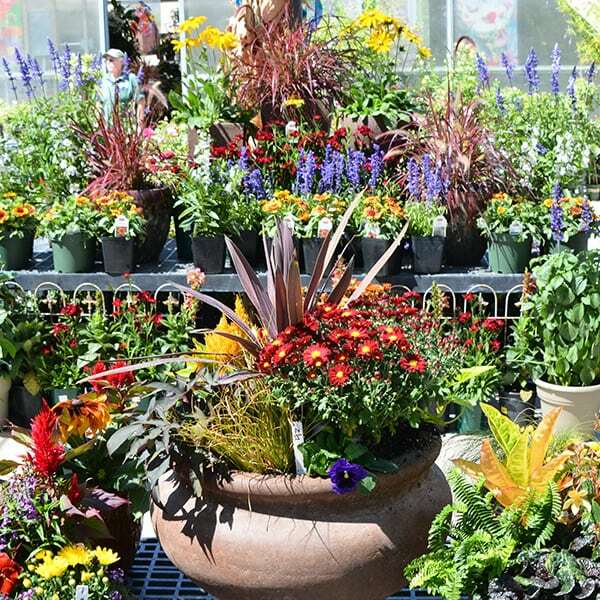 With a massive selection of containers, pre-potted planters and color bowls available at our nursery. We carry everything you need to dress up any space, small or large! Click the photo to see some of our container options. We are proud to have such a beautiful and wide selection of drought tolerant plants including succulents, cacti and California natives. Click the photo above to see more options!